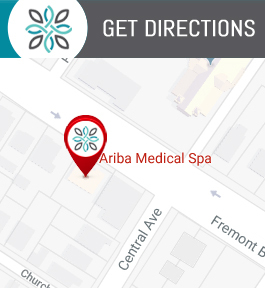 Ariba Medical Spa Is Conveniently Located in Fremont, CA but We Service All Surrounding Cities! We See Patients From San Jose, Milpitas, Hayward, Newark, Union City and More. We Specialize in Laser Hair Removal, CoolSculpting, Botox, Dermal (Facial) Fillers, Microneedling and Tons of Other Med Spa Services! Schedule Your Appointment Today. When it comes to taking a little time for yourself to ensure you look and feel your best, we want you to know that the experienced professionals at Ariba Medical Spa are available to help you unlock your best self, so you can spend your days enjoying your life instead of worrying about how you look. At Ariba Medical Spa, our clients are our priority. We treat everyone with the respect and attention they deserve to truly feel like the best possible version of themselves. Our goal is to provide each of our clients with the best experience possible, so they can enjoy their newly rejuvenated appearance and look forward to returning to our practice. When you are looking for a med spa, you want to make sure you find one that can serve all of your aesthetic needs, and provide them to you in a calm, welcoming, and confidential environment. For clients in and around Fremont, CA, Ariba Medical Spa is the best choice for all of your aesthetic needs. We offer a comprehensive range of med spa services to ensure we can help you achieve the look you’ve always wanted. Whether you are interested in gentle facial peels, laser hair removal, or total body rejuvenation with CoolSculpting, we can help you achieve your desired results. At Ariba Medical Spa, your needs are our calling. We believe in delivering highly customized care to every single client we treat. Our compassionate providers will work with you one-on-one to develop a totally customized treatment plan that will address all of your concerns and help you achieve the very best results possible. If you are unsure which procedures may be best suited for you, the dedicated professionals at Ariba Medical Spa can help. We have a wide breadth of knowledge and experience that enables us to effectively answer all of your questions and guide you to the right aesthetic treatments for your exact needs. Ariba Medical Spa is proud to have a wide range of aesthetic services that can provide total revitalization for our clients. We offer dermal fillers including Juvéderm, skin tightening, Botox injections, Vivace microneedling, dermaplaning, gentle microdermabrasion, and even treatment for unsightly varicose veins. We pride ourselves on being able to help our patients look and feel great from head to toe. We also offer Senté medical grade skincare products to help you maintain your healthy glow long after you leave our office. If you are looking for the best med spa near you in Fremont, CA, then look no further. Ariba Medical Spa can service all of your aesthetic needs in a clinic you will love coming back to. We offer the very latest advancements in skincare and body rejuvenation in a relaxing environment because we believe our clients deserve to feel pampered when they visit our office for treatment. We offer appointments Monday – Thursday from 11AM – 7PM and are open the second Saturday of every month from 11AM – 4PM. Call us at (510) 894-0969 to schedule your appointment today. See our specials!